A variety of fun events! Watermelon Game is a fun experience for kids! 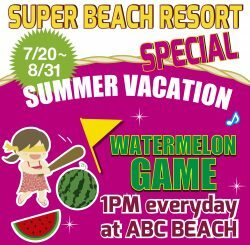 ABC is excited to host a Japnese traditional summer game “SUIKAWARI” on the beach! Be sure to ask our friendly beach staff for details. “SUIKAWARI” only occurs once a day 1pm. After the game over Kids can try to taste! 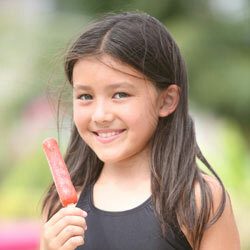 When you book directly on this web site, ABC is excited to offer you one FREE ice candy per person in the group. This Beach Festival is a fun experience for those looking to get into some competition! ABC is excited to host a Tug-of- War competition! Be sure to ask our friendly beach staff for details. The Tug-of-War only occurs once a day.